This stated commitment to a cleaner future has led Honda to develop the Honda FCX, the world’s first mass-production car that runs only on hydrogen. The only emission from the FCX’s exhaust is water that is apparently so pure and clean that you could put it in a bottle and drink it. 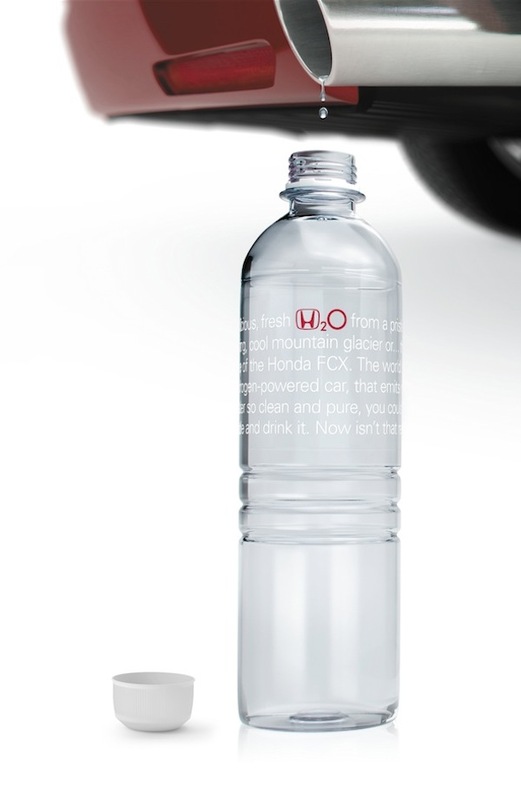 Which is exactly what Honda Australia and Leo Burnett Melbourne are trying to show by launching H2O, the first water brand created by a car company. 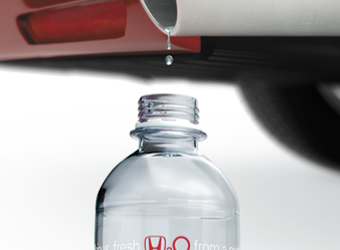 Symbolic water, rather than actually from the exhaust pipe of a car, H2O was distributed in Palace Cinemas nationally.